When I agreed to review a few Silipos products I was a reasonably healthy guy. I did have tennis elbow but a few weeks after the products arrived I incurred a bad calf injury. 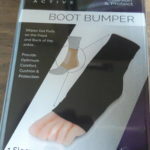 Both products that were sent were the Gel Achilles Heel Sleeve and the Boot Bumper that provides ankle protection. Both products were high quality and the gel inserts made them completely comfortable to wear long term. I can’t wait to wear the bumper when I’m ice skating! Back to the gel sleeve. I found a few other uses for it. 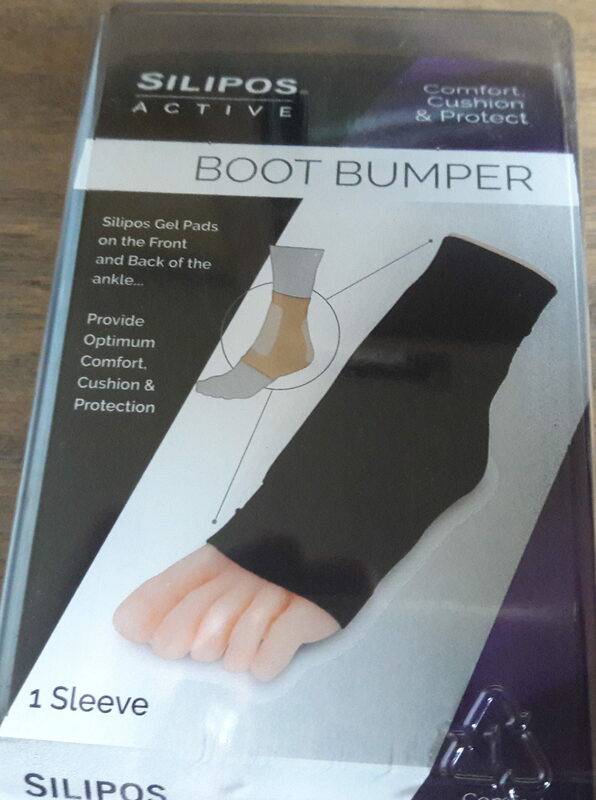 I’ve been wearing it on my tennis elbow and it’s a nice comfortable change from the brace I must wear when playing sports and just household activities. It was fantastic. Since I had luck with the elbow use I tried it on my calf 100% of the time while I’m convalescing and that’s working like a charm for that as well. I highly recommend these products. If you are active then you’re likely to get a repetitive injury or two along the way. I have and this company has helped my recovery and for that I’m more than happy to pass along that information.